If you are one of the men who have been using the Braun Series 7 electric shavers for years and you are looking for a Braun Series 7 Electric Shaver Replacement Head, you have come to the right spot. The Braun Series 7 models are a premium electric razor made with sonic technology causing the blades to cross-cut at 30,000 times per minute to lift and cut the hair. 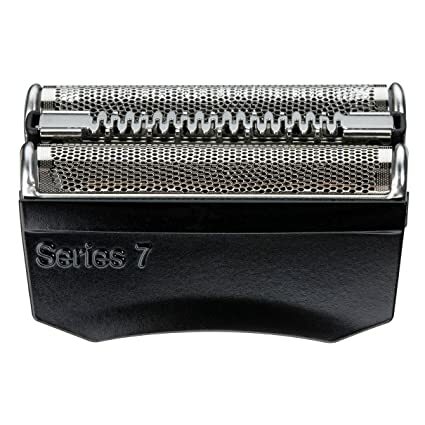 So, to ensure a close shave and no skin irritation, you want to make sure the blades are operating at optimum power. 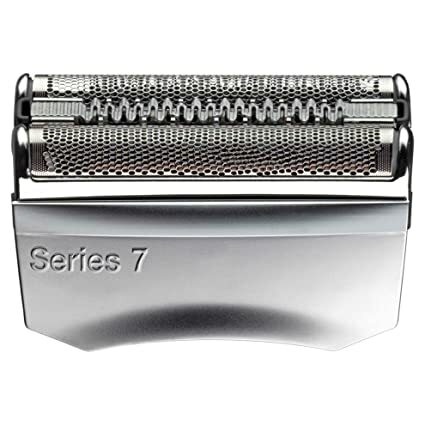 Opting for a new Braun Series 7 replacement head will keep your shaver running at it's best for the close shave you expect out of it. There are several models now that Braun has come out with over the years, so we will look at options to replace your shaver heads for the Braun Series 7000 models. How Long Before I Should Replace My Shaver Head? This will really depend on how often you use it, your beard type and how well you used the cleaning solution to keep your razor in tip top shape. The average time that is suggested by Braun to buy a new replacement head is around 18 months of use. You will know when it’s time when you feel like you are not getting a close shave like you usually do. If your profession requires you to shave daily and to look sharp each day or you simply want the closest shave possible, then I would shoot for every 6 months as new blades will end up cutting 25% better than the older blades. Why Should I Replace My Braun Electric Shaver head? As we pay high dollar for our electric shavers like the Braun 790 models, you would like to know why we would have to replace them with new electric shaver foil heads. On average over 18 months of normal use, you will have cut over 6 million hairs with it. You also have to think about the number of times you clean it over that time as well. Over-time the cutting parts start to wear and lose their sharpness. So, just like everything else it wears over time and it’s part of the normal wear and tear. How to Replace The Braun Series 7 Shaver head? If you have one of the older model you have two parts to dissemble. First you remove the foil by pulling it off or push the release button if you have it. Last step is to rotate the cutter cutter block 90 degrees and pull off the heads. Now you can reverse the steps to replace the new electric shaver heads. If you have one of the following Braun Series 7 models, one of the replacement heads below will work for you. So for the Braun 70s Series 7 Pulsonic you can use this cassette replacement pack which is the sliver case model. Which will fit Braun Series 7 790cc, 7865cc, 7899cc, 7898cc, 7893s, 760cc, 797cc, 789cc . There is also the Braun Series & Prosonic Pulsonic 70b cassette replacement that will fit the braun 760, 790, 799 and 797 which are the black colored model. 1. What is the difference between the 70s and 70B replacement blades? If you have the sliver handle model you will want the 70s and if you have the black series 7 handle you will want the 70B replacement foil and cassette. 2. Does it come with both the Cutter head and foil? Yes you will have both of the parts to replace your shaver heads with. 3. I have the older 760cc model which one is the correct replacement head? You will want the 70s Pulsonic head. 4. I have the the orginal Braun Series 7 790cc, which replacement head do I pick? You should pick the silver one with 70s Pulsonic head in the title.